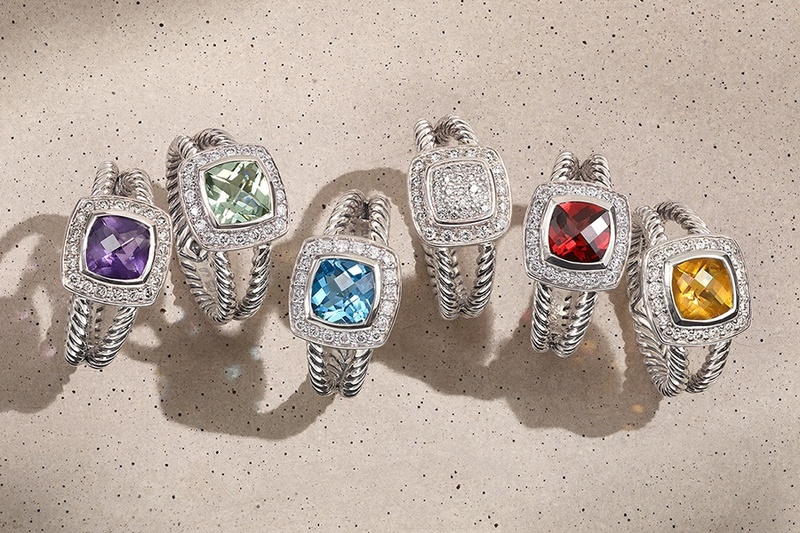 Greet spring with vivid hues, unique detail, and effortless luxury by exploring new jewelry from David Yurman. For bolder stacking, look to the signature Renaissance and Buckle Bracelets in reimagined gemstone combinations. Admire intricately faceted Petite Albion® designs in a stunning variety of oversized, cushion-shaped options. Plus, discover a coveted array of statement pinky rings elevated with diamonds, blue sapphires, color-change garnets, and 18K gold.